A. Jane Fredo, age 91, of Norwell, formerly of Arlington, passed away on September 4, 2018 after a long illness. Loving mother of Susan Jane Austin and her late husband David R. of Norwell, Robert F. Fredo, Jr and Debbie Lindsay of Boynton Beach, FL, Carol A. Fredo of Arlington, MA, Janet M. Catanzano-Newell and her husband Nick Newell of North Andover, MA, Michael A. Fredo and wife Kathy of Burlington, MA, and Jane Ann Shea and husband Ed of Salem, NH. Adoring grandmother of ten grandchildren and 17 great-grandchildren. 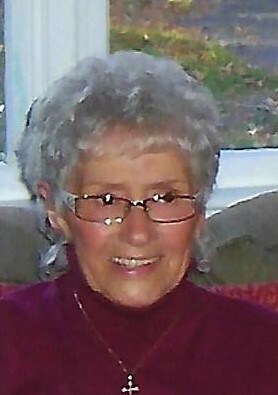 Former spouse of the late Robert F. Fredo, Sr. of Andover and mother in law of the late Salvatore Catanzano. Also survived by her former daughter in law Martha Fredo of No. Andover, MA. Jane was a great cook and great-driver, but most of all, she was dedicated to her family.